Sports betting online is one of the most popular and fastest growing forms of enjoying sports in the world. Betting on sports is a way to make the games more exciting and thrilling, and offers the potential to make some extra money on the side. However, making a sports bet in the UK can seem a scary business at first. Betting features a lot of terminology which is not easily guessable, and the systems of describing odds can be difficult to understand. However, there are always ways to get around the initial difficulty. This is a short guide to help you understand some of the best ways to start sports betting online. Here there are a few tips and tricks to make the best of your bets, and avoid the most common beginner’s mistakes. Odds, and the systems that betting companies use to describe them, are one of the first hurdles which must be overcome. If you want to understand betting properly, you need to understand what you are betting on. Odds should be used to determine whether a bet is worth making or not. They determine how much you would potentially win. The payout of a wager you make is based on your stake (how much you bet), and the relevant odds. The higher the odds, the more money you would make if you won. There are two main ways of depicting odds used by betting companies. These are decimal odds, and fractional odds. Decimal odds are the fastest growing system of odds representation, and are swiftly becoming the standard system used online. They represent the odds as a positive number, usually to 2 decimal places. They represent exactly how much you would win on each pound bet. For example, if the odds are 1.50, you would win £1.50 for every £1 bet. Fractional odds is the system which is traditionally used in the UK. They may initially seem more difficult to understand than decimal odds, but once mastered, they are essentially simple. They are, as the name suggests, based on fractions. The first number represents the amount you could win, based on the amount bet – the second number. For example, 2/1 (pronounced two to one), means that for every £1 bet, you would win £2. In a slightly more complicated example, 6/4 would mean that for every £4 you bet, you would win £6 – the equivalent to 1.5 decimal odds. Know you understand odds a little better, it is time to consider how to win. Betting companies do not exist to hand out free money. They make money from people’s bets – this is how they do business. They make their money on the knowledge that not everyone’s bet will be successful. While they cannot control the results of sports matches, they can control the odds that they offer. Bookmakers have a clear mathematical advantage over customers – while they do not make money on every bet, they set odds to make it more likely that they will. For example, if they were to offer true odds on flipping a coin (1/1 or 2.0), then they would make no money, as either result is equally likely to happen. Therefore, bookmakers offer very slightly different odds, such as 1.9 or 10/11. This ensures they are likely to make a small overall profit on the coin toss. It is possible, with a little thought, to improve your likelihood of making money by being clever about making wagers. Do your research on how likely you think certain results are to happen. Limit your bets to sports you are knowledgable about. Bet online – you are more likely to get better odds and offers online than in a betting shop. By now, we have learnt some tips and tricks to help you understand a little of the theory of betting. But why should you specifically bet on sports online? Why is that any better than betting in a shop, or over the phone? Sports betting online is the fastest growing form of betting for a reason. Firstly, it is convenient – you can bet from your own home, or wherever you like, without having to go anywhere. If you have a sudden idea on what to bet on, there is no need to go to a shop. Making a sports bet in the UK is easier than it has ever been – all you need to do to bet online is enter some money into your account, and you will be able to bet straight away. Many betting companies now also offer free introductory bets to help you get into it. 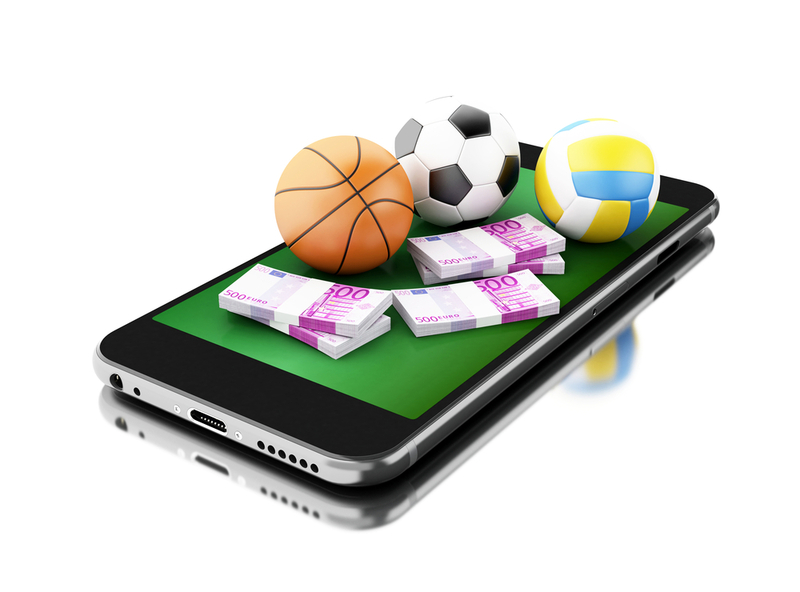 Betting on sports online is also perhaps the best way to make money from betting. You are more likely to find better offers online, as you can shop around the various sites with ease. You can also find the best odds between the sites, and make your decisions in the stress free environment of your own home. Sports betting online is a fun and exciting way to make money – but it is also a difficult thing to get into. There are so many options – what to bet on, how much to bet, where to do it. There are a few ways to get past this though. Be sensible with your betting. Starting out in betting online can be an overwhelming business, so take your time. Don’t go all in at once – make small, sensible bets on things you know about and understand at first. Part of betting is making money, but it should also be fun – losing too much isn’t fun. Know when to bet, and when to stop. Accept that you might lose some money, and think things through. You are more likely to enjoy betting if you know how to win, and hopefully this article will have taught you a few tips to help you along your way.